Reading novels, fiction and essays allows us to imagine situations, scenes and characters.By browsing through their pages, we create mental imagesfaces, clothing, landscapes, spaces and distances. And that's where the magical effect of reading on our brain begins. 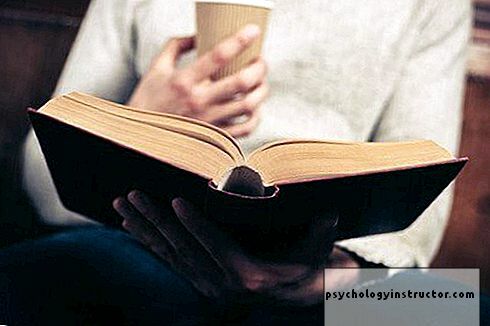 Reading as an activity is a perfect opportunity to disconnect and calm our internal dialogue. It also holds back accusations, accusations or cycles of thought about these problems that we can not solve.All of this can activate many brain regions that trigger our senses. 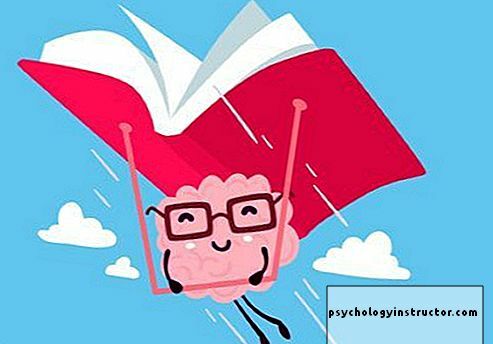 5 Do you know the impressive brain changes that reading produces? The neurologist Guillermo García Ribas argues that reading facilitates two aspects:the decoding of language and symbolic thought. Alex Huth is part of the team that mapped the semantic system of the brain. Surprisingly, he discovered that language is not limited to the left hemisphere, as he had previously thought. It seems that the production of language is the specialty of this part. But much of the understanding of language apparently occurs in the right hemisphere. "There is a connection between the interpretation areas of symbols (words) and other areas like that of movement, which we did not know until then." Neuroscientist Aidan J. Horner argues that the representation of mental images affects the cortical and subcortical neural system. It also activates a grid cell network in the entorhinal cortex.These cells are responsible for spatial localization. In other words, they make the brain understand the position it occupies in space. They are activated in the face of mental images created from reading the description of characters in an environment. Or when we imagine ourselves in a place. They do it in the same way as for visual or auditory stimuli. These grid neuronsshow a strong regulation of theta waves.They are electrical impulses of large amplitude, a characteristic related to the reorganization of the brain structure. They are also low frequency waves and some think that they facilitate access to unconscious content. Theta waves are specific to phase 1 and 2 sleep in adults. In contrast, children spend their waking hours in theta waves during their first years of life. When this phenomenon occurs during the adult watch,a thing similar to the state of consciousness obtained after meditation or hypnosis occurs. One of the effects of reading on our brain would be to facilitate the state of consciousness that gives access to the content of the unconscious. At the same time,a reorganization of brain structures and neural networks would occur. Robert Harris of Emory University has done somemagnetic resonance teststo a group of people when they read a novel. This study resulted in amazing results. The movements that the characters of the novel realized activated different brain areas in the readers.Activated areas were the same as those that would have activated if they had made the movements themselves.Significant enhancement of neuronal connections in the central groove has also been noted. This organ is related to body sensations and empathy. Robert Harris's experiments have led to collateral results. We could discover a neuronal trace left by the reading of a novel a few days after the end of it. Resonances were also made to the participants several days after their reading. This has shown thatthe connectivity that had increased during the reading period was maintained for several days even though the person was no longer reading. This phenomenon has been dubbed "shadow of activity". Its trace is maintained for at least five days after the end of the novel. This same trace could even stay alive longer if the book really pleased us. This "shadow of activity" produced by reading in our brain could explain the magic of books. The same magic that allowscharacters and stories to stay registered in us. Even after the end of a novel. 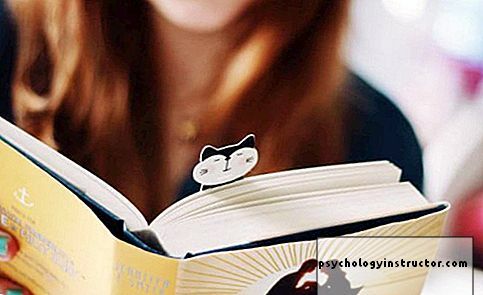 Do you know the impressive brain changes that reading produces?